Performance is always a crucial topic for web-based applications. Administrators need to have the possibility to see which activities use which time to execute over time to identify potential increases over time and take proper measures. OTRS supports this requirement with the performance log. The performance log can, when it is activated, log activities and display various activity types and their min/max/average response time and a number of requests for different time frames. Use this screen to view the performance log of OTRS. The log overview screen is available in the Performance Log module of the Administration group. 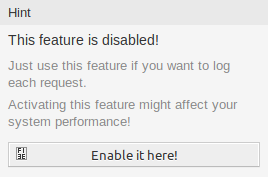 To be able to see performance log in OTRS, you have to enabled its setting first. 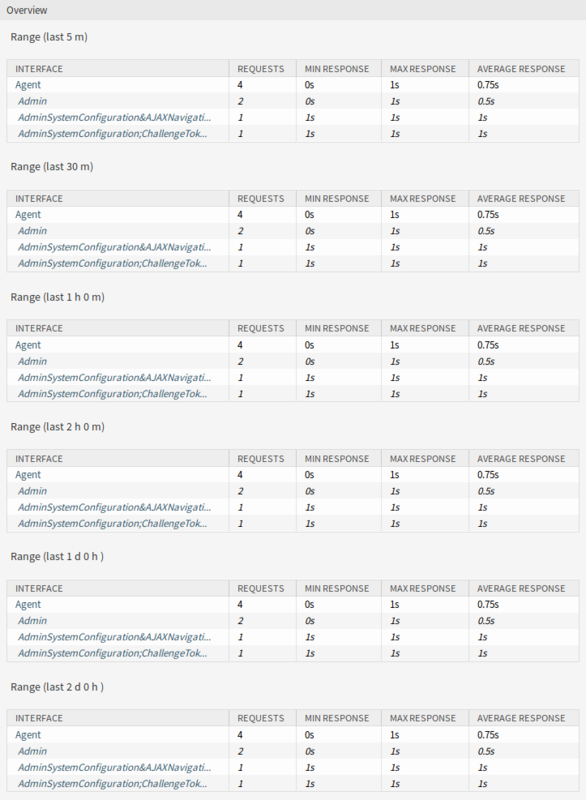 If the performance log is enabled, OTRS collects all the information about requests and responses in an overview table. Clicking on an entry will show the details.